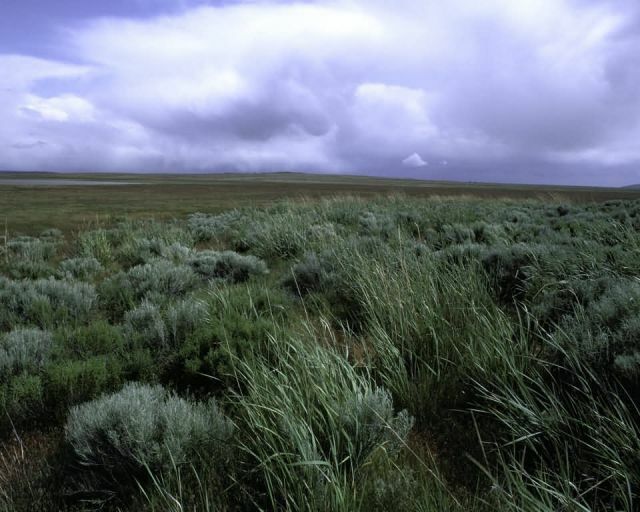 Clear Lake NWR, Tulelake, California: This open field of wild rye and sage provides grazing for a small herd of pronghorn that are found on Clear Lake National Wildlife Refuge. Clear Lake Reservoir covers half of this refuge located in the eastern part of Klamath Basin. The reservoir is often crowded with white pelicans fishing and nesting on the small rocky islands. California gulls and double-crested cormorants are frequent visitors as well.